Glam UGG sneakers are possibly the "it" shoes for Spring 2016. 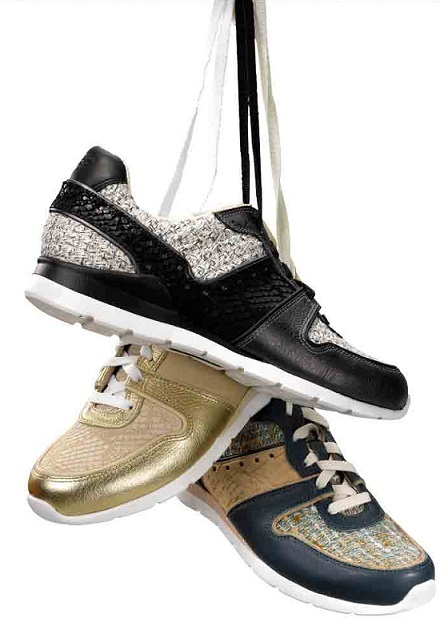 These new sneakers are cranking up the glam with metallic leather and tweed. Shop the Deaven sneakers at Ugg Australia. Showcasing a chic blend of luxe spring materials, the Deavan is not your average trainer. Poised to make a statement, this sporty style comes equipped with the Treadlite by UGG™ outsole for lightweight cushioning, durability, and traction. Thank you for taking the time to read our glam footwear blog post. You may also want to read our post about the Laurelle Ugg Sneakers.